that you may have a mold problem, call us today to speak to an expert. What mold symptoms are commonly seen with mold exposure? or throat irritation • Skin rashes or irritation Headaches, memory problems, mood swings, nosebleeds, body aches and pains, and fevers are occasionally reported in mold cases. It depends. For some people, a relatively small number of mold spores can trigger an asthma attack or lead to other health problems. For other persons, symptoms may occur only when exposure levels are much higher. Nonetheless, indoor mold growth is unsanitary and undesirable. Basically, if you can see or smell mold inside your home, take steps to identify and eliminate the excess moisture , cleanup and remove the mold immediately. Allergic persons vary in their sensitivities to mold, both as to the amount and the types to which they react. In addition to their allergic properties, certain types of molds, such as Stachybotris chartarum, may produce compounds that have toxic properties, which are called mycotoxins. Mycotoxins are not always produced, and whether a mold produces mycotoxins depends on what the mold is growing on. Conditions such as temperature, pH, humidity or other unknown factors play an important role. 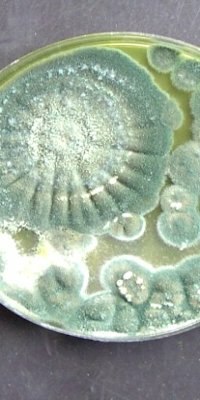 When mycotoxins are present, they occur in both living and dorment mold spores and may be present in materials that have become contaminated with molds. While Stachybotrys is growing, a wet slime layer covers its spores, preventing them from becoming airborne. However, when the mold dies and dries up, air currents or physical handling can cause spores to become airborne. At present there is no environmental test to determine whether Stachybotrys growth found in buildings is producing toxins. There is also no blood or urine test that can establish if an individual has been exposed to Stachybotrys chartarum spores or its toxins. Manchester NH Epping NH Fremont NH..
Salem NH Plaistow NH Kingston NH..
Pelham NH Windham NH Hudson NH..
Concord NH Allentown NH Brentwood NH..
Hampton NH Hampton Falls N.Hampton NH..
Rye NH Hampstead NH Seabrook NH..
Hollis NH N. Salem NH New Ipswich NH..
Litchfield NH Amherst NH Milford NH..
Chester NH Merrimack NH Londonderry NH..
Stratham NH Greenland NH Exeter NH..
Kensington NH Newton NH Brentwood NH..
Atkinson NH Sandown NH Danville NH..
Derry NH Bedford NH Goffstown NH..
Raymond NH Candia NH Auburn NH..
Pembroke NH Bow NH Hooksett NH..
Nashua NH Hollis NH Brookline NH..